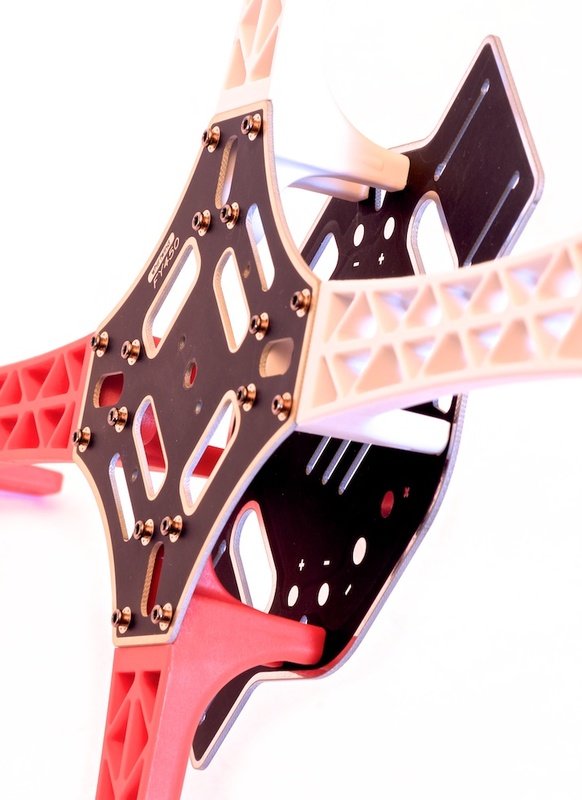 These multicopters are relatively easy to build and are ideal for beginners who would like try their hand and building a multirotor frame. 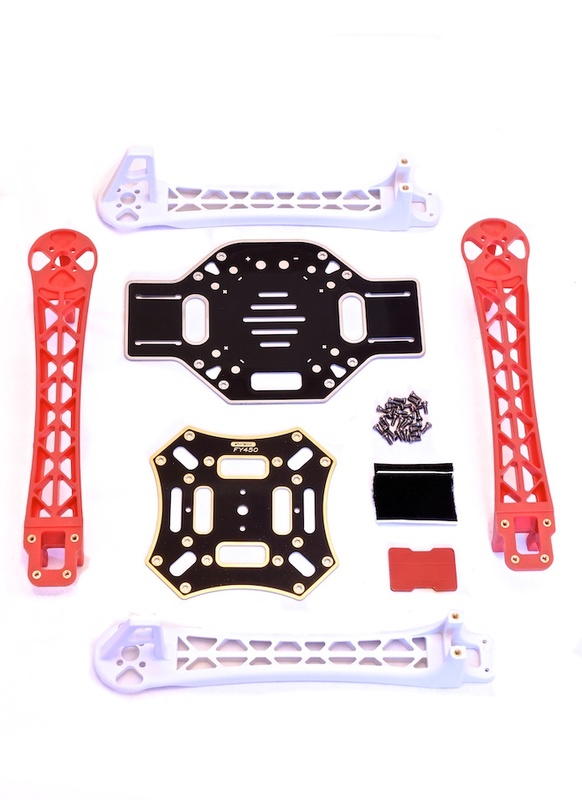 One of the easiest and fastest DIY quadcopter frames to build, a good all rounder frame. 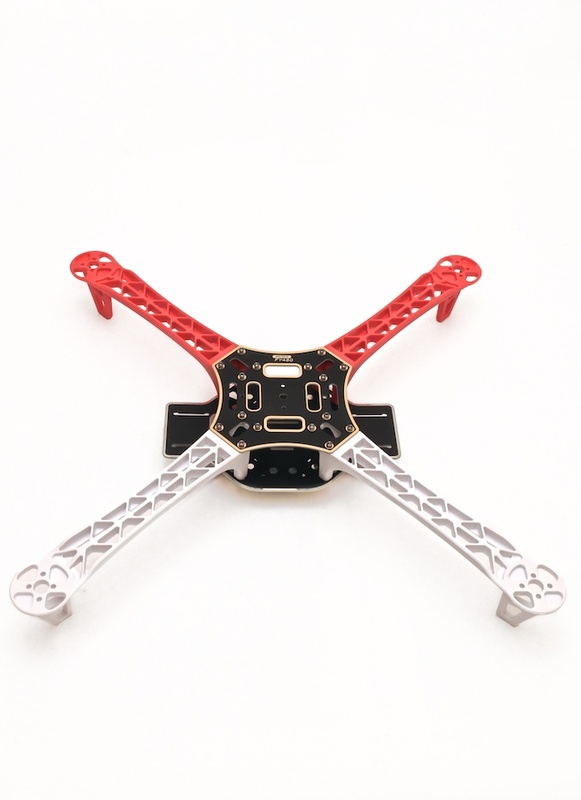 The Q450 is a well thought out 450mm quad frame built from quality materials. The main frame is glass fiber while the arms are constructed from ultra durable polyamide nylon. This version of the Q450 features integrated PCB connections for direct soldering of your ESCs. This eliminates the need for a power distribution board or messy multi-connectors keeping your electronics layout very tidy.